Let the 12 Days of Christmas begin with Gennett 5228 – A “Christmas Greetings” label. 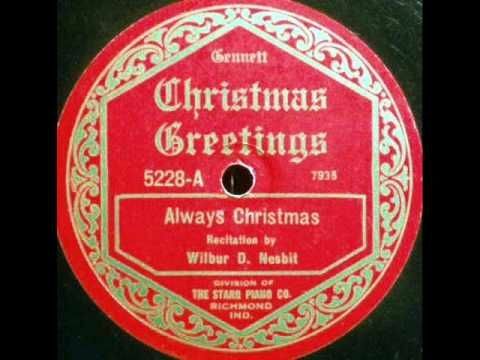 “Always Christmas” recitation by Walter D. Nesbit. Image | This entry was posted in December, Gennett and tagged Always Christmas, Christmas Greetings, December, Gennett, Gennett Christmas, Gennett Christmas Greetings, Gennett Discography, Gennett Records, Walter D. Nesbit, Walter Nesbit. Bookmark the permalink.